Morning routines help us feel grounded, and they give us a solid start to the day. My mornings used to be rushed, and that rushed feeling would linger throughout the day. 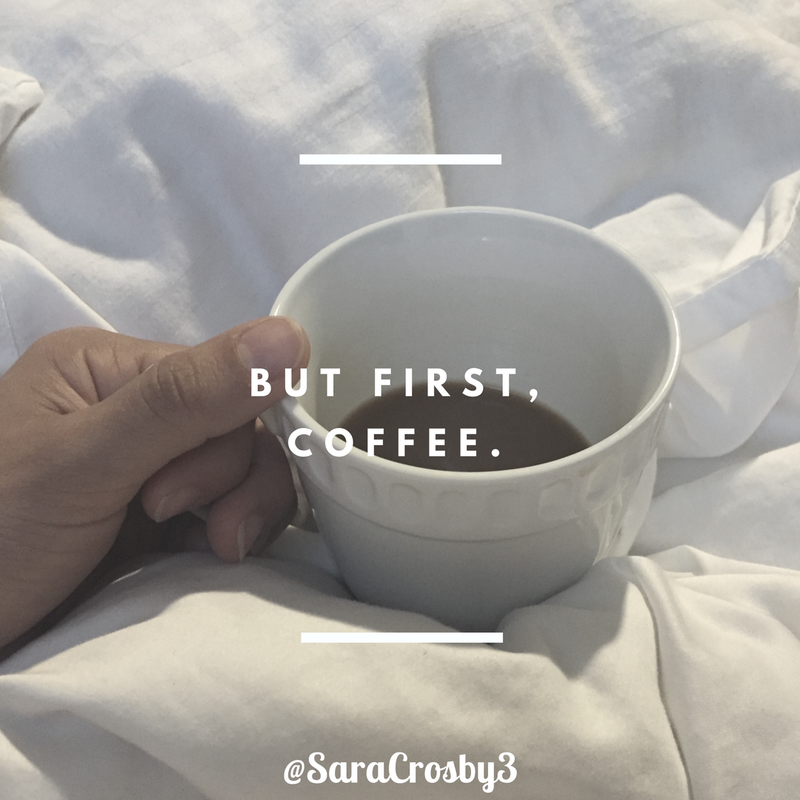 Now my mornings usually start with coffee in bed (coffee is a must), browsing my phone, and making my to do list (stay tuned for more info on my new to do list method). Although it’s a simple and small routine, it gives me a calm and quiet start before my busy day. Like I said, it wasn’t always this way. I used to be one of those frazzled morning people, skipping breakfast and grabbing coffee on my way out the door. Even though there’s a lot to be done before heading out the door for work – there’s hope. With a couple small changes, I’m able to spend time drinking coffee in bed, get ready without rushing, and -this is big – I get all of this without waking up any earlier than I used to. I’ve implemented little improvements and now prepare as much as possible the night before. I find it difficult to make decisions in the early morning (like what to wear or eat). So, my clothes are picked out the night before, and my lunch is made and packed in my lunch bag, waiting in the fridge. Coffee is prepped and the coffee is set to brew on a timer so that’s it’s ready before my alarm even goes off, and coffee cups are usually even set out waiting on the counter. My breakfast is now the same every day – no more either skipping breakfast or cooking in the morning – I make a delicious superfood shake on my way out the door and drink it in the car. So what’s next for me? Next up is finding a way to incorporate a little yoga into my mornings. What are your favorite morning routines or tips? What do you find the most challenging about mornings? I’d love to hear! I really like this article, as my morning routine (if you can call it that) leave’s a lot to be desired! I rarely feel put together when I walk out the door. Morning used to be the best part of the day, and then kids came along and I lost it. Right now I’m on maternity leave, which is a perfect time to reorganize and start new habits so I can have a fresh start when I go back to work! Thanks for taking the time to comment and good luck on establishing a new and improved routine!